Recently I’ve been obsessed with cement and bricks. Not sure why, but most definitely obsessed. Perhaps it’s a whiplash response to my usual head in the clouds, mental gymnastics that I also really enjoy. I’m in between work periods, a sort of bardo if you will. I think it’s during these times of transition where it comforts me to focus on the ordinary. 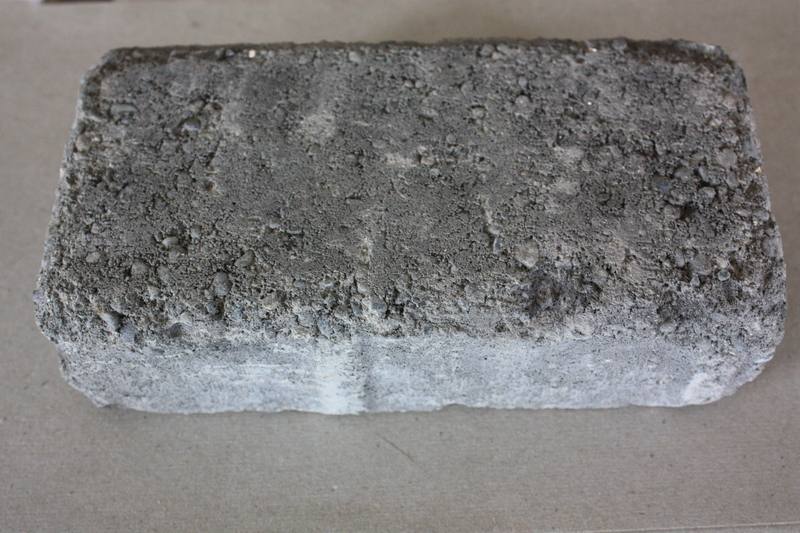 The cement brick sitting on my desk is most definitely ordinary, is my inspiration right now, and I am enjoying making sense of this new symbol and signifier in my life. It is the ‘ordinary things’ that have such a beneficial effect on our spirit, causing it to attain the highest peaks of delight and grace. Anyone desisting succumbs inevitably to absurdity, nothingness, both physically and spiritually….Only the ordinary things reveal those forms of simplicity that refer us to a higher state of existence, that state which constitutes the whole comprehensive secret of art…And because it is impossible to speak any other way than through signs, we focus our attention on this meaning of serene poetry and leave false dreams of the miraculous to vulgar, peasant natures.